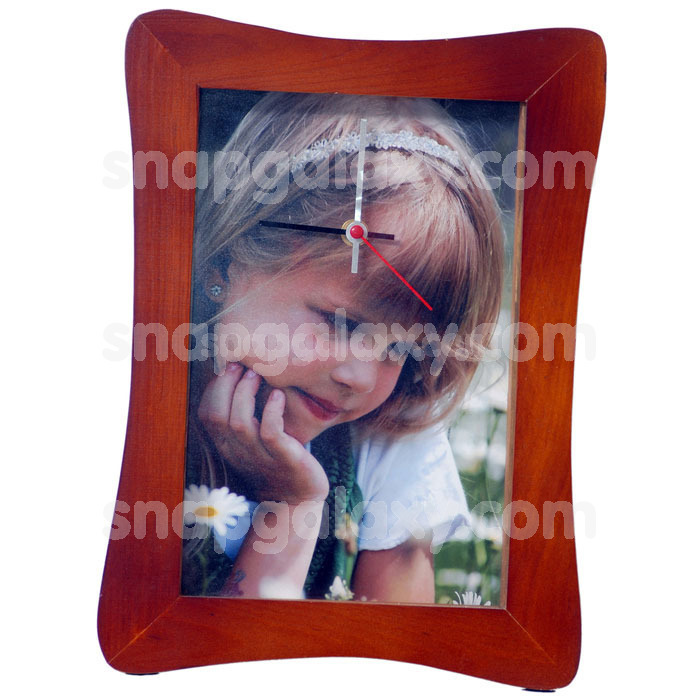 Personalize this classic wooden clock with your favorite picture and a message. Keep it for yourself or gift it on a special occasion. Height: 13", Width: 9.5"